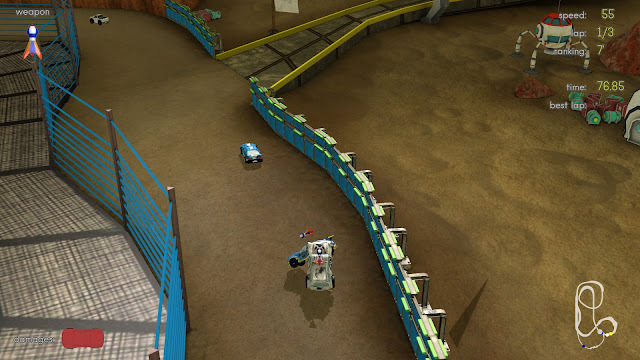 The nice and very polished top-down racer Yorg just received a huge update. There is another finely crafted track bringing the totalt to 7, also bringing another song with it. The game has received a new rear-camera and a refined driving model. Further there are big improvements to network play and the GUI has been improved. If you haven't played this fun game yet you ought to give it a try! YORG's new moon track, filled with alternative paths and many twists and turns.